Not recommended for extremely long hair. I did not have a very good experience with Herbal Essences Break's Over Strengthening Conditioner. Still, I'm being lenient on the score I gave it because I feel that my circumstances (and therfore results) are not typical. I have much longer hair than most people. It's just over three feet long. So I thought a strengthening conditioner would be a good idea. Unfortunately I didn't notice any additional "strength" to my hair after using this product, but my hair was significantly flatter and more weighed down than usual. My hair already falls pretty flat under its own weight so I prefer products that condition and rinse completely clean so my natural volume and movement is accentuated. Instead, Herbal Essences Break's Over Strengthening Conditioner just makes my hair feel filmy. Almost greasy. Again, this may not be the result if you have a standard hair length but I wanted to warn anyone with long hair that it may not be ideal, based on my own experience. i tried the herbal essences conditioner...breaks over type, and i do not like it at all. i would rather buy the 99 cent kind. not only did it not condition my hair, it left a residue that even the cheap stuff don't, and yes i did get it all rinsed out. as for the 3 bucks i spent on it, that i am out because i choose not to use the rest of it. this is the first time EVER that a shampoo or conditioner lived up to its name and did what it was supposed to do. how refreshing. I usually try anything once and if its good enough then I am happy. I also dont normally have loyalty when it comes to shampoos and conditioners because all of the leading brands make your hair clean and shiny enough. but, when it comes to specialty stuff, like keeping your hair straight or fixing the frizzies, no matter what they say. I have never noticed a real difference exept for this stuff , which made my hair stay on my head during and after use. How utterly amazing. the only drawback is that the conditioner does not leave your hair feeling soft enough. 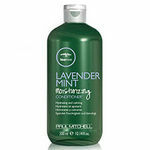 so, a little of most other conditioners applied at the same time does the job and no shower full of broken hair. 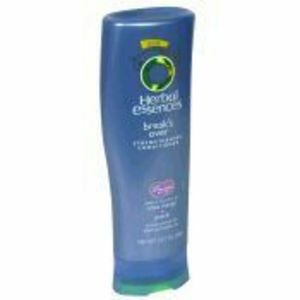 Herbal Essences Break's Over Strengthening Conditioner: I tried this with the shampoo and i was AMAZED!!! My hair was very chlorine damaged and this shampoo really reallly helped!!! plus it smelled GREAT!! and it was really thick. I like conditioners to have a thick consistency. I think it condtitions better than thinner conditioners. MY HAIR IS SO SOFT!!!!!!! For the price especially, this product is easily the most conditioning and works the best on damaged hair with split ends. It is much better than hello hydration, because ive tried both. This product works so well that my lady at the hair salon told me my hair was very soft and healthy. She asked what products I use, and she was pleasantly schocked and surprised! Another good think is you can find coupons for herabl essences in the Sunday paper quite often, which makes their products evn more affordable! I highly recommend this product to people of all hair types. I'm a natural kind of person, I've been using mainly natural products for awhile now. Long story short I am currently using an unnatural shampoo right now, so I thought what the heck, why not try this conditioner. **What I like about Herbal Essence Break's Over Strengthening Conditioner:** This conditioner smells great! I showered last night and there is still a hint of the scent in my hair today. This conditioner feels luxurious in your hands and also in your hair. This conditoner went above and beyond, leaving my hair smooth and tangle free today as well as last night. **What I don't like about Herbal Essence Break's Over Strengthening Conditioner:** It's not natural, and I am going to have a hard time getting myself to only use natural hair products again. **My conclusion:** Smells great, works better, just wish it was natural! Herbal Essences Conditioner makes Rapunzel envy my hair. I have tried plenty of conditioners in my lifetime; until fairly recently, I did not realize that there is a difference in quality of the conditioners that are currently on the market. I used to purchase and use a shampoo and conditioner that advertises that "Ours does what theirs does for less than half the price". I actually swore that this statement was true, but I found out that only the "less than half the price" part of the statement is true. I have two daughters and they both are very picky about what they put into their hair; I always felt that their choice of hair products were more expensive because they were using popular brand name products, I was wrong. One day my eldest daughter handed me her bottle of conditioner and asked me to "Just try it mom, you will see a difference". 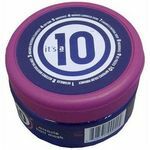 I did try it and I did notice a difference in the texture and scent, and my hair did feel more silky but not too noticeably different. Last Christmas I bought both daughters their favorite hair conditioners to put into their stockings; my youngest daughter swears by Herbal Essense hair products, and I purchased Herbal Essense Break's Over Strengthening Conditioner for her stocking. There was a buy one get one free in-store special at the time, and I ended up with two bottles of Herbal Essense conditioner. I decided to keep one of the bottles of Herbal Essense conditioners' for myself and subsequently tried it on my own hair. I loved Herbal Essense Break's Over Strenghtening Conditioner! My hair felt so much more thicker and healthier after I got out of the shower and dried my hair, and the scent made my hair smell so fresh and clean. I have been using Herbal Essence for about eight months now and my hair has never looked and felt so healthy. I have done so much stuff to my hair, it has been 50 million different colors and is constantly straightened and blow dried. I continuously use **Herbal Essences Break's Over Strengthening Conditioner** and I have found my hair to defnitely be a lot strong and with barely any breakage. My hair feels gorgeous after using this!